Who does not love to eat good, yummy, delicious snacks and foods on a daily basis? We all know that cooking is a form of art. However, housewives in India are always annoyed with that sticky cookware that is available in their kitchen. If you are among one of those women, then we are here to help you with. In this article, we will introduce you with some of the high quality non-stick cookware brands that are affordable and can be used on a regular basis. Without further delay let’s start with the Top 10 Best Non-Stick Cookware Brands in India 2018. Cookwares are of great help when it is about cooking. Here we are going to talk about the top 10 best non-stick cookware brands in India that are going to give you all the solution to your cooking problems. While we are talking about non-stick cookware brands, we can’t afford to miss out one of the most successful brands that hold the No.1 position all the time. Yes! You guessed it right. We are talking about the brand Prestige. The “TTK Prestige Limited” presents their primary brand of cookware known as Prestige. 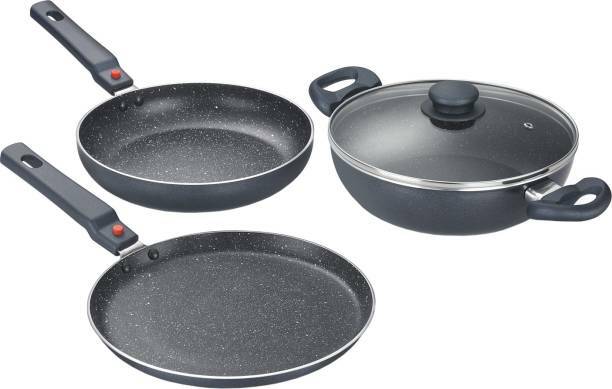 Cookware from the brand Prestige is designed with stainless steel or non-stick surface that are made up of high quality and hence the durability is longer and so is the safety. Next on the list comes up the very common and heard in almost every Indian kitchen is the brand Pigeon. It is a primary brand of ISO certified “StovekraftPvt. Ltd.”. This brand manufacturers stainless steel cookware products and also few non-stick cookware products available in two different variants such as round and flat base. When we are talking about Indian cookware brands, we can’t miss out the most trusted brand in the country. Yes! We are talking about the brand Hawkins Futura. They produced high-quality stainless steel and as well as non-stick cookware products. The designs are great and some of the high-quality products that are quite popular from this brand are Tawa, Stewpot, Handi and Frying Pan. One of the oldest brand that manufactures stainless steel products for the last 175 years. The brand Bhalaria is one of the trusted brands in Indian that manufactures stainless steel cookware and kitchenware products. The designs are top-notch and are made up of good quality steel. Their base is available in both flat and round bottom so that it could suit both LPG gas stove and induction plate. If you search the internet, you will get to know about one of the most reputed brand Usha that manufactures several cookware range and supplies all over India. This brand itself has three different brand names under it such as- Lexilite, Euroles and Eurocook. They provide products made up of high-quality materials that are durable and has a hard long lasting bottom. However, the best sellers are stainless steel cookers and some of the non-stick products such as nonstick kadhai. If you are looking for Indian kitchenware products at a reasonable price, then look for none other than the brand Nirlep. The manufacturers here offers great quality stainless steel at a very affordable rate. Some of the popular products from the non-stick cookware range are grill pan, tawa, multipage and kadai. They use the aluminum material to manufacture all the non-stick cookware products. If you are someone who loves to eat yummily and lip-smacking foods which you obviously would I know, then don’t forget to try out the cookware products from the brand Havells. The cookware set includes one flat griddle and one frying pan. You can cook French toasts, pancakes, and steaks etc. One of the best brands in India known for its great quality cookware products is none other than the Kitchenware India. 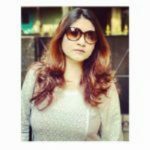 They are very affordable and hence almost every housewife love to use their products and they swear by the quality. It took them 20 years to become one of the leading manufacturing company in India that deals with kitchen and cookware items. Starting from the year of 1963, the brand Vinod has established a name and trust in the Indian kitchens. However, the very first product introduced by the brand Vinod is the “Aluminium Sandwich Bottom” that went to become the most reasonable cookware. This brand also produces some great stainless steel and non-stick cookware products. The cookware of this brand is also exported to neighboring countries. Now we all know about the famous Chef Sanjeev Kapoor, isn’t it? Well! He has his own brand of kitchenware and cookware products known as the Wonderchef. Some of the popular products from this brand are Pressure Cookers, Grill Pans, Kadhai etc. All the products are hand-picked by Sanjeev Kapoor himself and are known for their great quality non-stick cookware range. The brand ‘Wonderchef’ is slowly becoming the popular cookware brand in Indian countries. So these are the Top 10 Best Non-Stick Cookware Brands in India 2018 which are quite popular in India. All the brands listed above consists of proper information regarding, which materials are used in the making and designing the cookware such as pressure cookers, pan, tawa, kadhai, saucepan, stewpot etc. The above listed are of top brands and you can grab them any time as all are available in the Indian market. One more thing to keep in mind is to look for customer reviews of a particular product you are thinking of buying. You can check Amazon or Flipkart for product reviews. Let us know which one will you choose and if you have any experience with the following, then don’t forget to comment it down below.